Do you have a piece of furniture that doesn’t have a place in your home in it’s current condition? Or maybe a friend or relative has a well-made piece that is great structually but not your colors. This dresser was an old mahogany piece that we refinished and painted for a customer’s young daughter. 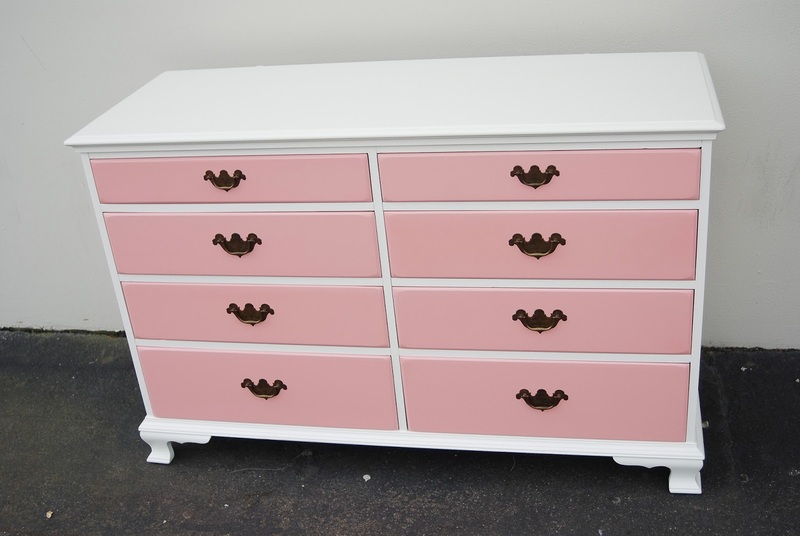 The history behind this piece is priceless; it’s a dresser that has been in her family for generations…. and the tradition continues with her daughter.